Me with WWr vs Dimir. At this point I've been on Frenzy for a while (since 4 mana) but found way too many lands on the consecutive turns to end them prematurely. Meanwhile he's been topdecking like a pro and features no less than 3 Dream Eaters, 2 Thief of Sanity and some lesser blockers. I should have won on the ground long before that, but.. whatever, plan b) was developing in the form of Banefire in my hand. I had 8 mana and he had 9 life so I needed to do 2 damage somehow and leave 4 mana open to sac the Frenzy during his turn. So with Benalia 3 triggered I attack with everyone hoping he lets at least one guy through. I even left a Marshal on the top of my deck to keep 4 mana open. He has just the amount of blockers to spoil my plan, but he doesn't (how would he know of it anyway? ), he lets my Adanto Vanguard through. He trades all Dream Eaters and his lesser blockers so after that Combat he's left with his 2 Thief of Sanity and I have 2 ground creatures. 4 Mana ready to sac Frenzy, 3 cards in hand so I could discard 2x to his potential double Disinformation Campaign and Banefire to nix him come next turn. I also have 14 life, so what's gonna happen? Boy, I gotta archive this screenshot for posterity. Thinking about it afterwards it's possible opponent could've won by playing out all his creatures s-l-o-w-l-y before alpha-ing, but I would still be generating 3 tokens a turn and in response to his alpha I could've blocked, played March for oodles of tokens, and hit back potentially for lethal. How do you make 3 tokens per turn? I don't see Adanto, the First Fort. Also, what's with all the cat tokens? Leonin Warleader? But most importantly: March of the Multitudes in respond to a sweeper? This question comes up a lot for me for I read it and don't understand it. Don't the new tokens die to Finality just the same? Or do you mean to cast it after the sweeper has resolved without getting to use your creatures for Convoke? One of my elusive zero-ofs. I play a competitive best-of-one game. I play Selesnya Creatures, my opponent plays Selesnya Tokens. I do good trades, jam the board, and, due to a lot of value in my deck, eventually get myself a superior boardstate, and get my opponent to 12 life. At this point, I cast the "Flourish" part of Flower // Flourish. I think about who will I attack with. My opponent says "good game". Opponent plays Settle the Wreckage. Then, still in my turn, March of the Multitudes with all his creatures. Then, on his turn, the "Flourish" part of Flower // Flourish. End of turn March of the Multitudes for 10 tokens, next turn Flourish. Opponent went from 14 life to -16 life in one attack. ....never let the CPU tap your lands when you're playing Rainbow Lich. My Selesnya Creatures vs Bant Angels, best-of-one competitive constructed. Early/mid game is nothing interesting: countering Benalias with Knight of Autumn and Nullhide Ferox, exiling Ajani and Shalai with Tribunals, etc. I'm low on life, but I have established Beast Whisperer as my draw engine, so it feels pretty good. As a last card, my opponent plays Resplendent Angel. It was at this moment UC knew: he **** up. I was fresh out of Tribunals and Harpoonists. I dig for answer with random creatures, but after I use it... he topdecks another Resplendant. I redouble my digging with a second Whisperer, but can't find an answer. Instead, I find two Knights of Autumn. I am at 7, opponent gets me down to 2 with Resplendant. I play out Knights of Autumn, going up to 10. I alpha-strike, losing my Whispherer. He attacks me with Resplendant and his Serra Angel token, knocking me to 1, and upping himself to 25. My turn. Last edited by UselessCommon on Tue Nov 20, 2018 12:35 pm, edited 1 time in total. And here's the topdeck of today. 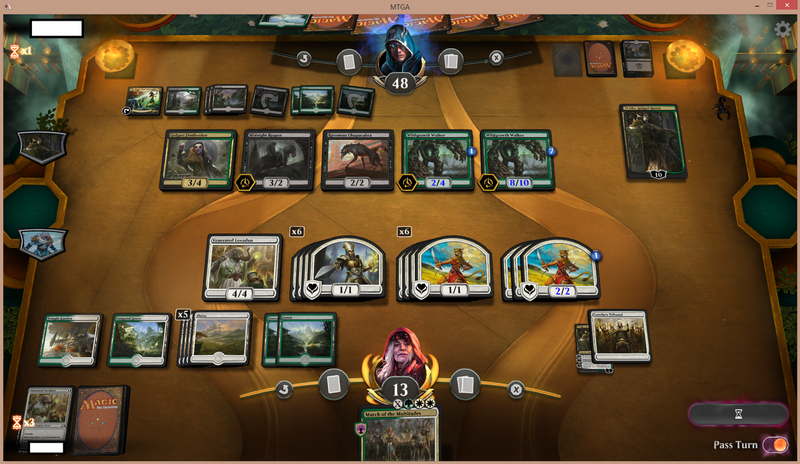 My magic of calling a card-name and making it appear on top of the opponent's library worked again. Long game with WWr vs Golgari. His double WGW kept him alive for quite a while, his Vivien nixed my Frenzy before it could do much (yay double-lands) aaaand now I play Benalish Marshal into Heroic Reinforcements and attack with everything allowing him to either save Vivien or take a lot of damage (holding Banefire with 10 mana in play and a land in hand). He decides to sac Vivien and ends the turn with his 2 WGWs, zero cards and 7 life. Now here's the trivia. Which card did I have to name to allow him to miraculously escape that situation? Game went on for like an eternity after that, which he spent hellbent for all but a single turn. I found my second Frenzy but he found Finality, so I lost another army at that point. And eventually with me at 5 life I couldn't find enough gas to deal 12 damage (10) or have a flying blocker against Doom Whisperer. I'm at 10 life, opponent is playing golgari and has a board of 2 brontodons and a 4/3 jadelight (lethal). I have plenty of land with nothing on the board and have been holding Niv and Clarion for a while, but the Clarion would leave the brontodons and I was holding out to draw protection for Niv, because it will surely die as soon as I play it, but no luck so far (even after some opts). 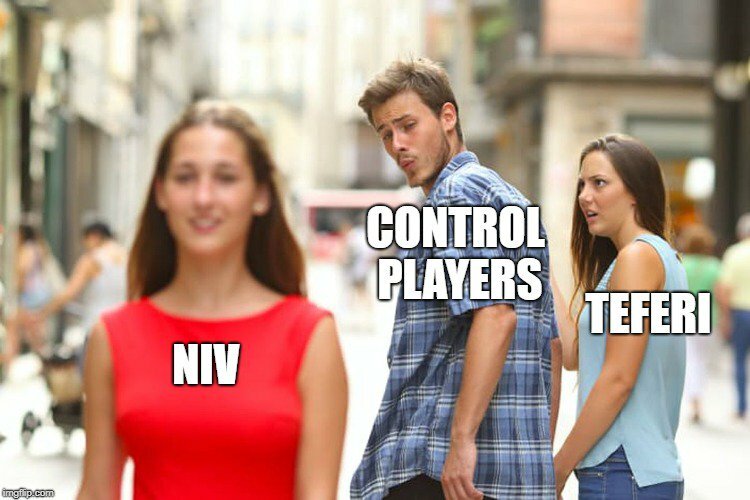 I'm dead anyway, so I play Niv and pass. Opponent untaps and casts murder on Niv as I expected (well, I was expecting Chupacabra, but...), I do 1 damage to face and... Draw dive down! Yes! So I protect my Niv and have a blocker to boot. He attacks with the brontodons and the jadelight. I block a bronto instead of jadelight to set up for Clarion next turn, taking 7. Next turn I Clarion for 3 damage + life link, ping the bronto and clear the board, attack to gain 5 life and opp promptly scoops. I've pulled this kind of crap all the time with this deck. That feeling when opponent makes a bad attack in a Selesnya tokens mirror (since I had enough chump blockers + a March of the Multitudes in hand for the crack back to be lethal), and then I miscount the damage and die!! Damnit!! I was one win off a 5-win run in competitive constructed too.